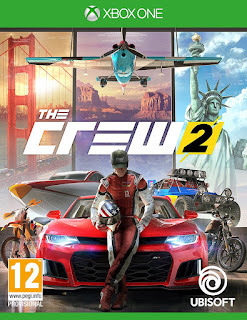 Get to know the various motor families of The Crew 2 and get ready to explore all of America the beautiful, racing through the various landscapes in all types of vehicles – cars, trucks, motorcycles, boats and planes! Start Small. Dream Big. Race Hard. All of America is waiting for you. The newest iteration in the revolutionary The Crew franchise, The Crew 2 captures the thrill of the American motorsports spirit in one of the most exhilarating open worlds ever created. Welcome to Motornation, a huge, varied, and action-packed playground built within an entire open world America and designed for all motorsports. From coast to coast, four motorsports families gather: Street Racing, Off-Road, Pro Racing, and Freestyle. Join them in high-octane contests and put your skills to the test in each family's set of disciplines, featuring all kinds of cars, bikes, boats, and planes. Want the freedom to explore and dominate America any way you want? You can now seamlessly switch between ground, water, and air vehicles on the go and enjoy a completely unique game experience based on your personal style. Record and share every glorious moment. The Crew 2 gives you the chance to showcase your skills and rise as the greatest motorsports champion.